Dumpster is a multi-functional tool for data recovery. The application creates a virtual dumpster just like in your personal computer and it will complete the same functions. Dumpster Image & Video Restore is an app available to all users, functional and very useful, which you will want to try if you want to have a good tool to be able to recover all the photos and videos you have lost on your phone. That moment when you realize you’ve deleted something important from your device, and there’s no way to get it back. Only now there is! 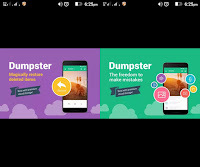 Dumpster is a free android recovery app that saves all deleted files, images, videos and more, so that you can restore them later on. 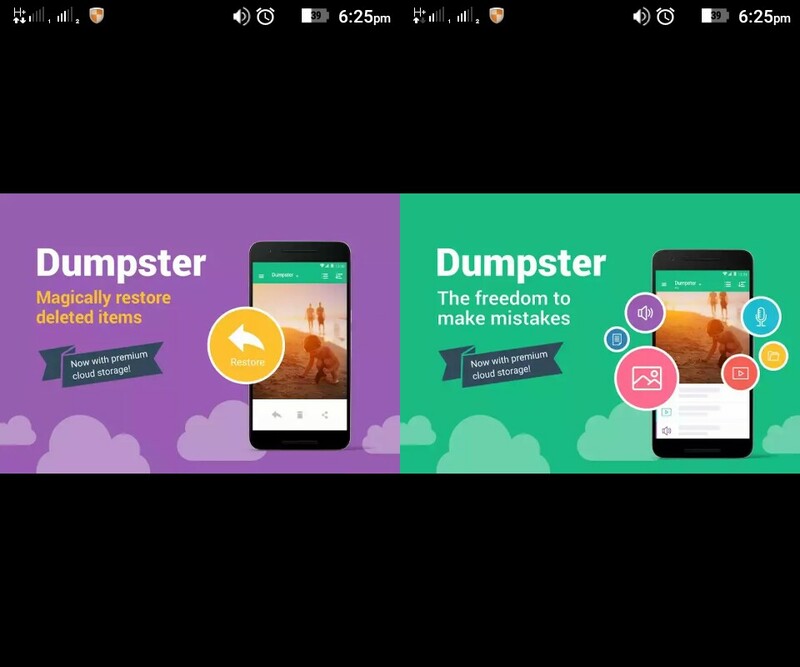 Dumpster offers users a premium cloud based version, freeing up valuable device storage space. Users can backup deleted pictures, files and videos to the Dumpster cloud, and then effortlessly retrieve and undelete them later on. 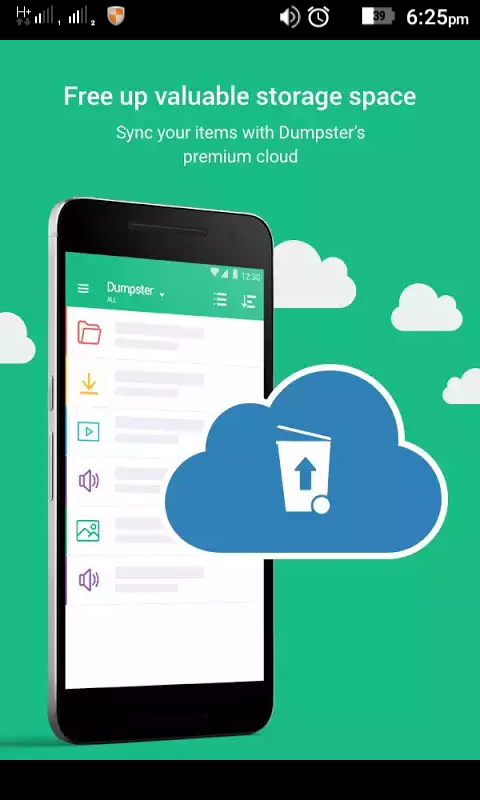 Dumpster’s premium cloud storage provides mobile users with a reliable device backup for a minimal fee, and zero device storage space required. 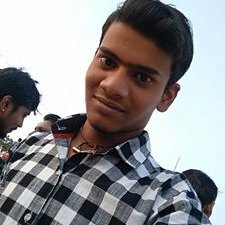 It also entitles users to an ad-free experience, and offers lock screen capabilities. 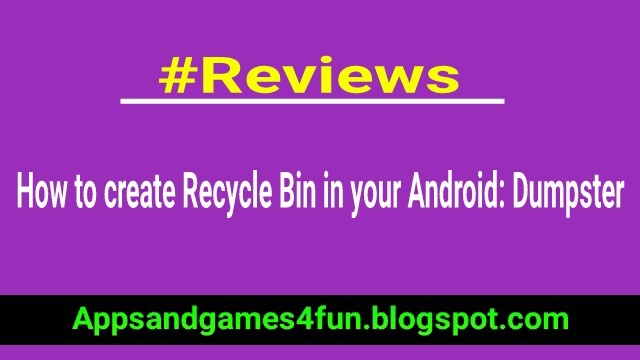 One may ask why there’s no recycle bin on Android devices? There’s no clear-cut answer for the lack of recycle bin. In our expert opinion, the reason is two-fold. In the earlier years, of mobile computing, space was always a prime resource. In a phone with 8GB storage, which supposedly stores every file that a normal desktop would, there was no room (pun Intended) to play lose and fancy-free. So, anything that was not absolutely essential (like the Android recycle bin) was done away with. Also, if GB-space is where the heart is, then consumers would always want to know the free-space available to them. A deleted file, had to stay deleted, so that new (and more exciting) file could take its place. 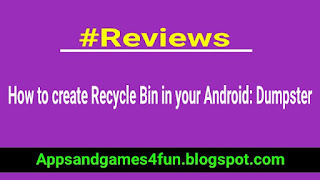 This app implements a Recycle Bin (also known as Trash) for Android and works with most third party file explorers. In reality, the recycle bin app acts more like a transitionary space from where you can recover the files that were moved to the Recycle Bin. Files that were permanently deleted, and not sent to the recycle bin won’t be recovered by this app. However, you can configure a list of folders and file types to be automatically moved to the recycle bin if one of these are deletes accidentally.